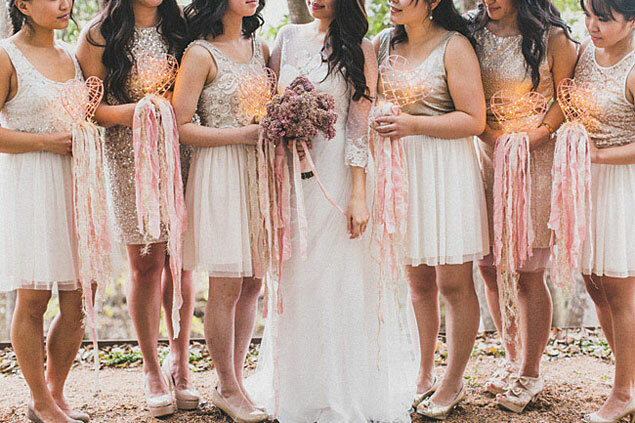 I used to think sequin and sparkly bridesmaid dresses were only for winter events or New Years Eve weddings. But oh no no. I was so wrong! 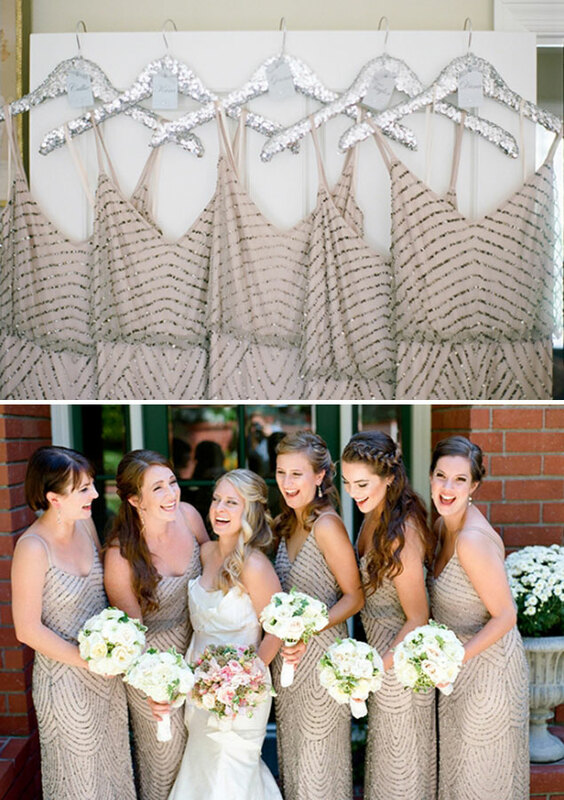 Sequin bridesmaid dresses can coordinate with weddings in any season. 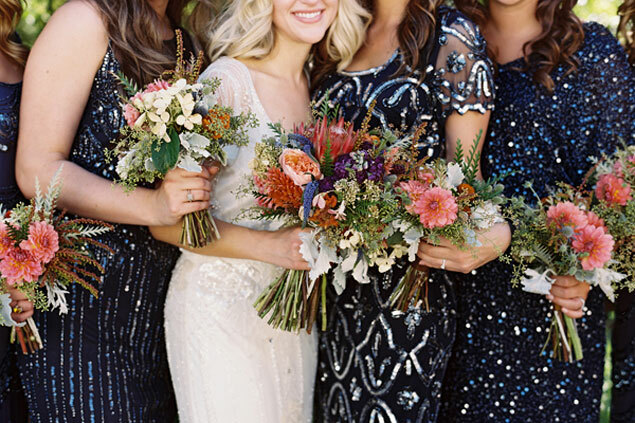 Here I’ve collected some of my favorite examples of stunning bridesmaids who pulled off sparkly dresses in style! 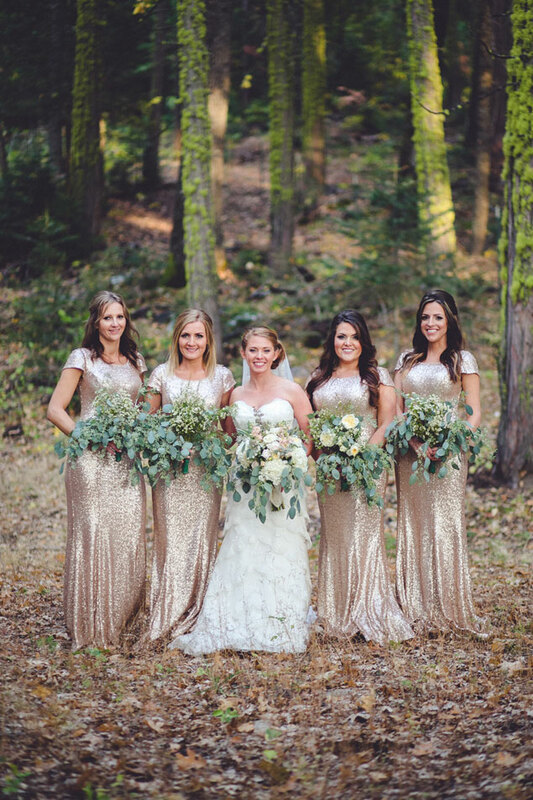 We’ll start with these mix and matched sequin dresses from an Outdoorsy Glam Wedding. 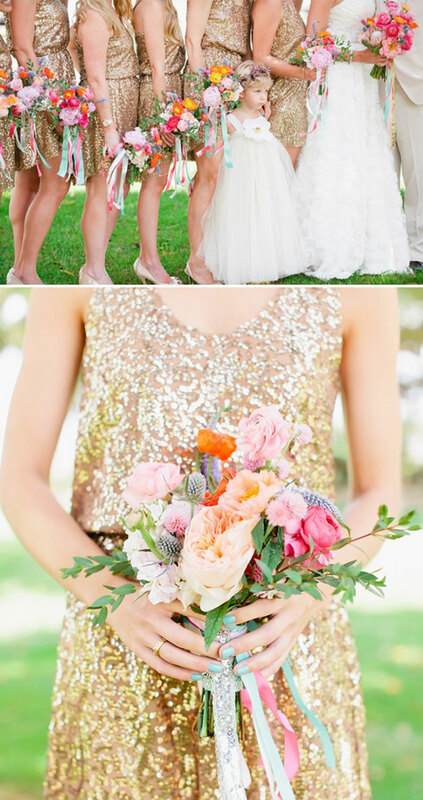 The glittery dresses below, from this Newport Beach Wedding, are so sweet! A little glitz and glam even goes great with bright colors too! 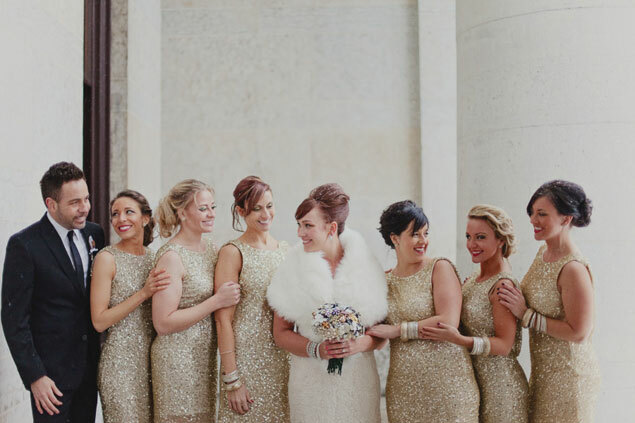 For example, this 80s Pop Theme Wedding rocked some serious sparkle! 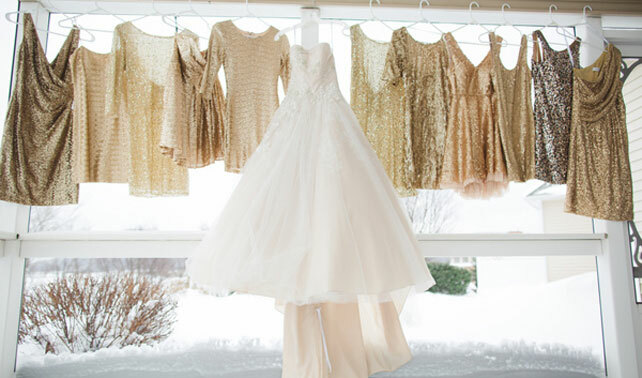 Sparkly frocks don’t always need to be silver, gold or a neutral color either! The ladies in this LA Wedding wore navy dresses that shimmered and shined! While some of the dresses have small amounts of sparkle or a pattern in sequins, others have glitter from top to bottom! The dresses below were worn for a Paradise Springs Wedding. I’m loving these next dresses paired with simple black sashes and shoes! You can see more photos in this stunning Wedding in Australia. 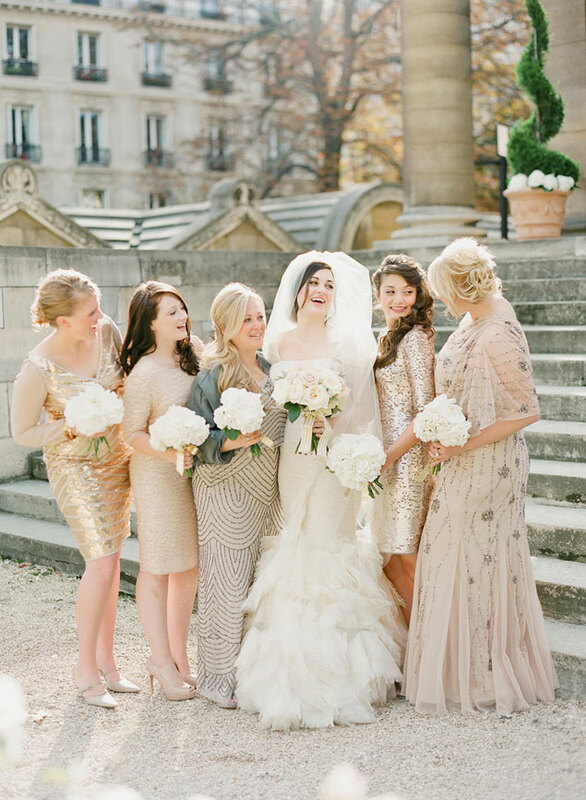 What would a Paris Wedding be without some glamorous sparkle!? 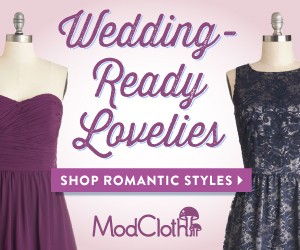 The bridesmaid dresses, both long and short, at this event are simply perfect! 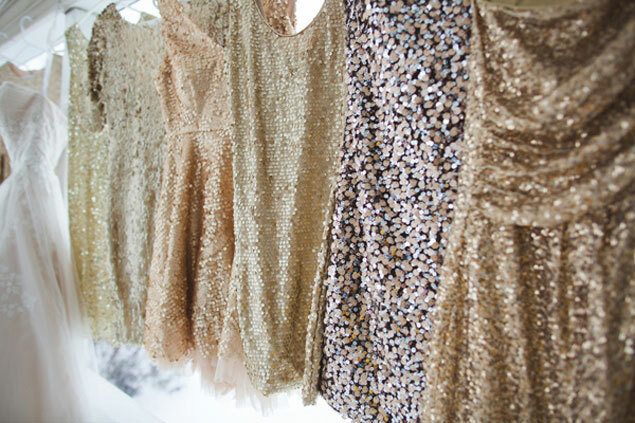 Sequin dresses can work in any season. These next ones are from a Winter Winery Wedding! 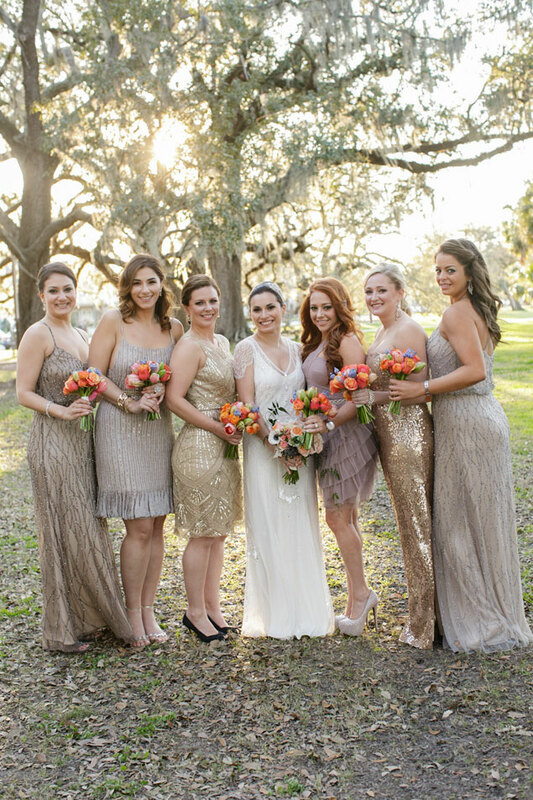 Lastly, we have some shimmering dresses from a New Orleans Wedding.